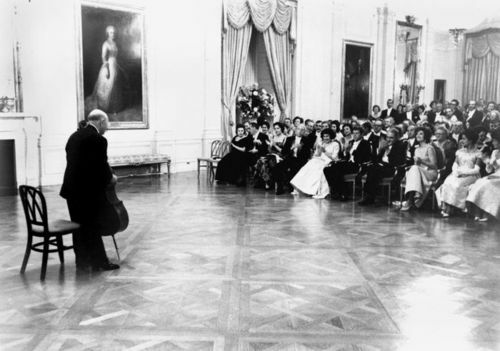 On November 3, 1961, Pablo Casals performed a cello recital after a White House Dinner. Pres. John F. Kennedy, Gov. Luis Muñoz Marín, and their wives listened and applauded.